People often ask, “Does People Analytics work?” These are smart people, who genuinely would like a straight answer to an honest question. I will sometimes start a conversation about People Analytics with something like this: did you know that in the United States alone, companies currently spend about 7 trillion on employees in Payroll*? My experience has been that how, where, when and why money is spent matters and results will vary on how well or poorly money is invested. Unfortunately having worked in HR for over 15 years I can tell you that more often than not decisions affecting how people are : a.) coincidental b.) arbitrary, c.) biased or d.) political (by this I mean rooted in conflict – the expression of personal or group advantages and disadvantages). None of these imply a reason that is good for doing business, or people or the economy. Before you can say whether or not People Analytics’ works, you need to know what its job is. We can gather from the name, People Analytics is the application of analysis to people. O.k. but what’s the goal of People Analytics? How can you say whether it works if you don’t know what it’s supposed to achieve? In prior People Analytics Q/A posts I attempted a definition - I was looking for a unique combination of words to represent the essence of a complex concept simply without missing what is different about it. This is what I came up with:People Analytics is the systematic application of behavioral science and statistics to Human Resource Management to achieve probability derived business advantages. I chose these words deliberately but admittedly a little too deliberately to roll off the tongue in casual conversation. So let’s take a step back and talk about it. More simply put, People Analytics is the application of analysis to people in a business. For the sake of discussion we are going to put "people in a business" in the realm of Human Resources. To understand People Analytics lets first understand what is the job of HR? Most people think of HR as a series of low-level administrative activities: record-keeping, recruiting, benefits administration or as the legislation compliance arm of the government that sits in your organization. There is an element of truth to this. No organization could exist for very long without some attention to those things, however you think this is all HR is you simply have not been exposed to HR in a successful, large, modern organization. if your investors wishes comes true (growth), then Human Resource Management is your reward. HR is a necessity as a consequence of growth, and growth is the primary way businesses derive value for shareholders over the long run, then it might be accurate to describe HR as both a consequence of growth and a cause. Yes, just as eggs and chickens go, so goes HR. It is a great mystery, however in the case Kentucky Fried Chicken I will abdicate that I think the fried chicken came first, and then HR came along later. The idea that having an HR function may be a good thing for an organization begins with the need to create efficient processes to expand the business and eventually evolves into a more expansive appreciation for what intelligent employees and management expect out of an organization. The main thing everybody in an organization has in common is that we are all getting paid– that makes it a job - otherwise we probably wouldn’t be together 8 hours per day, 5 days per week, 50 (+/-2) weeks per year or whatever you do. You may like each other but you probably don’t like each other that much! The other thing we all have in common is that we are at this job voluntarily – beyond acknowledgement that the dissolution of direct slavery is a good thing – we can all thankfully acknowledge labor markets can sometimes be competitive and therefore opportunities for us abound. There are two sides to the equation and both sides make choices. The relationship between an employee and an employer is a rich interaction that can be understood through many different lenses (Psychology, Sociology, Social Psychology, Labor Economics, Anthropology, etc.) however these interactions boil down to decisions and consequences. Decisions are at the crux of our interaction. The leadership of an organization can truly decide to treat people however they want to but they don’t get to decide if people come or go as a consequence – the people decide this. The people also decide the level of creativity and effort they are willing to exert on behalf of an organization. In the short term, none of these interactions may appear to matter - in the long-term it is clear they always do. Achieving clarity in decisions to achieve desired outcomes is the entire point of management. HR wants a seat at the business table, but the truth is they were silent participants all along. After we get the basic blocking and tackling of organization under control modern Human Resource Management extends into the macro-concerns of the organization regarding structure, quality of talent, culture, values, matching resources to future needs and other longer-term people issues related to the organization’s plans – we call this group of activities Strategic Human Resource Management. If that two paragraph description of Strategic HRM sounds like something straight out of a textbook, that is because it probably was. You and I both wish I would have a better mental firewall. Basically, I’m saying that if you are doing it right the purpose of HR is not really about specific activities or compliance; it is about enabling business growth and as you do that it about designing an organization for competitive advantage. Good HR should help extend the life of organizations by helping them extend the reach of what they do or grow better at what they do over time. If over the long run most organizations fail – are you getting a clear picture of how good of a job we are do with this strategic HRM stuff? Then again, maybe it is not HR’s fault, maybe HR had great things to say that were not heard. What is the goal of People Analytics? In 3 words : do HR better. In more words: help leaders and employees make better decisions together – reinforcing organization based competitive advantages - which result in sustained organization growth over time. What is the job of People Analytics? People Analytics provides a means to see and explain what is going on inside of an organization. People Analytics provides a framework to give HR’s disjointed practices a reason, coherence and direction. People Analytics also gives HR a more powerful language to communicate with others. What is it worth to you, to find out what characteristics in a manager lead to a statistically better performing software engineering or sales team? What is the ROI of using math and science to identify a poor manager, that un-checked could influence the organization to do things that result in devastating class action litigation against your company? How much more likely is a person to be motivated to react to criticism of their management style when presented with data that “We asked the same questions of all managers and you are in the bottom 25th percentile on these measures – please explain”? If you believe that the best hiring criteria for success in your organization is intelligence, represented by an Ivy League education, believing they are more successful, and that is not actually true, what is that worth to you? How much additional do you pay for a graduate of an Ivy League Education x number of employees over time? Further, what additional costs to business performance about being wrong about what makes people successful in an organization? Not to mention, what possible business drags and penalties will accumulate when your organization grows less statistically representative of its community as a result of a faulty premise? What is it worth to you to discover that a many million-dollar Benefit program actually does not relate at all to retain employees when that was the primary reason cited for implementing that program? What is it worth to you, to discover that a 10 million dollar benefits program now, will result in a 100 million benefits program later if your organization continues to grow on the same track? What is it worth to you to avoid the consequence to commitment and morale of offering a benefit and not being able to deliver on it, or slowly taking it back over time? Does the current gain in morale from implementing this program, exceed the future consequences of retracting it? What is the ratio of value to the organization? Based on my experience with the question above and real organization data, the question “Does People Analytics Work?” is an absurd one. Someday I hope we will move past this question for People Analytics. What is not People Analytics? What is the history of People Analytics? What are the key questions of People Analytics? What is the actual work of People Analytics? What are the alternatives to People Analytics? What is the technology of People Analytics? You can find more posts like this and other helpful People Analytics related resources on Misc- People Analytics. 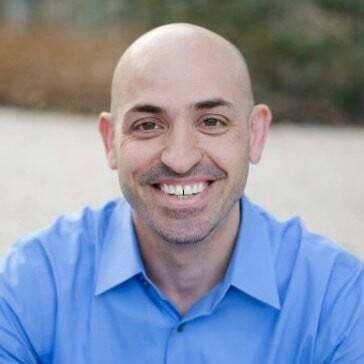 Mike has 15 years of experience building People Analytics from the ground up as an employee at the founding of Merck HR Decision Support, PetSmart Talent Analytics, Google People Analytics, Children's Medical (Dallas) HR Analytics, and PeopleAnalyst - the first People Analytics design firm - working with Jawbone, Otsuka and several People Analytics technology start-ups. Mike is currently the VP of Product Strategy for One Model. One Model takes data from numerous systems and organizes it so that you can measure, predict and influence workforce behavior to effect change.